Tending towards a more classic aesthetic, Marina Afonina's label Albus Lumen (meaning 'white light' in Latin) was a reaction to a gap in the Australian market for luxury resort wear with a premium placed on effortlessness. Simple shapes and classic modernity create subtle yet striking contrasts.The label uses only natural, quality fabrics such as silk and cotton linen blends and is realised in artful drapery and deconstructed utility. With influences that include Slim Aarons book Poolside and vintage photographs of Brigitte Bardot in St- Tropez and Romy Shneider in "The Swimming Pool" movie set, Afonina explained the label’s mood as a minimalist traveller heavily inspired by European Summer. Albus Lumen aesthetic is uncomplicated luxury and effortless style. The label was launched in mid-2015 and celebrity wearers include Elle MacPherson, Lara Worthington, Tessa James, Elsa Pataki and many more. Sydney based designer Anna Hoang is an emerging Australian designer who believes everyday clothes should be special. Anna Quan is derived from the designer’s first and middle names. The label is responsible for reinventing the classic white shirt and pushing tailoring boundaries. It has been making the now top-selling Anne shirt since 2014. Specialising in tailoring and using the finest fabrications, Anna Quan focuses on subtle details that ultimately makes the garment unique, whether it be well executed fit, perfectly placed pockets, faultless lining or exaggerated sleeves. Celebrity fans include Kendall Jenner and Karlie Kloss and the designer’s work is regularly featured by street style bloggers such as Camille Charrière and Yoyo Cao. Double Rainbouu was founded by Mikey Nolan and Toby Jones (formerly creative directors of Ksubi) in January 2016. Boasting resort wear for beach babes and pool punks, the label began with the idea of being relatively simple – focusing on classic shapes and simple fabrics but ramping up the volume on the prints. Starting with five different styles of Hawaiian-inspired printed shirts, it has now expanded to include knitwear, slouchy trousers, board shorts, and bathing suits, bridging the gap between beachwear and playful contemporary fashion. Double Rainbouu sports unisex offerings, witty interpretations of corporate logos, layering and psychedelic prints. Celebrity wearers of the brand include Baz Luhrmann, Peter Garrett, Super Duper Kyle, and Justin Bieber. 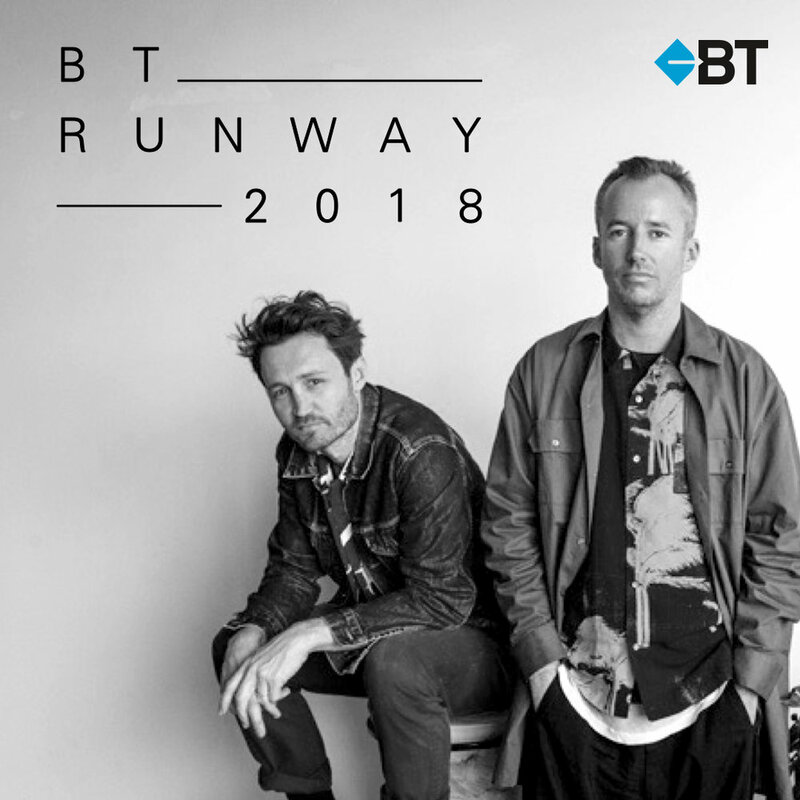 To find out more about BT Financial Group, the BT Emerging Fashion Designer Award and the BT Runway 2018 event, refer to the link below, and stay up to date with the finalists journey on Instagram @AusFashionCouncil.